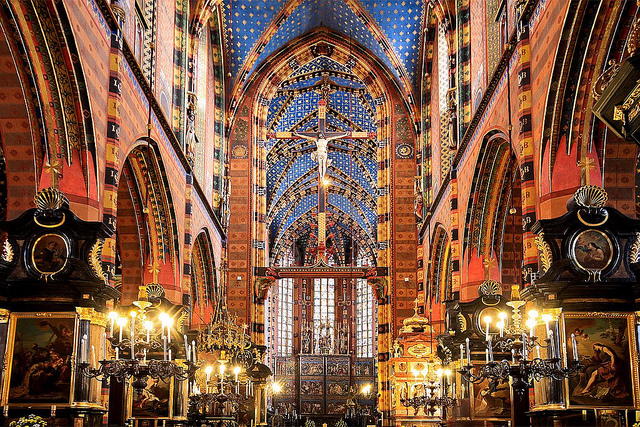 The impressive and well preserved Saint Mary Cathedral in Krakow is dating back from 1220. It is a Gothic brick church adjoining the central square of Krakow. It is easily recognized by the two towers of different heights and designs. The two towers are the work of two brothers. The architect of the lower tower killed his brother, possibly by envy because the other tower was taller and nicely decorated. Because of the remorse he throw himself from the roof of the cathedral a little later. Today we would like to present you the most important parts of this beautiful old building. 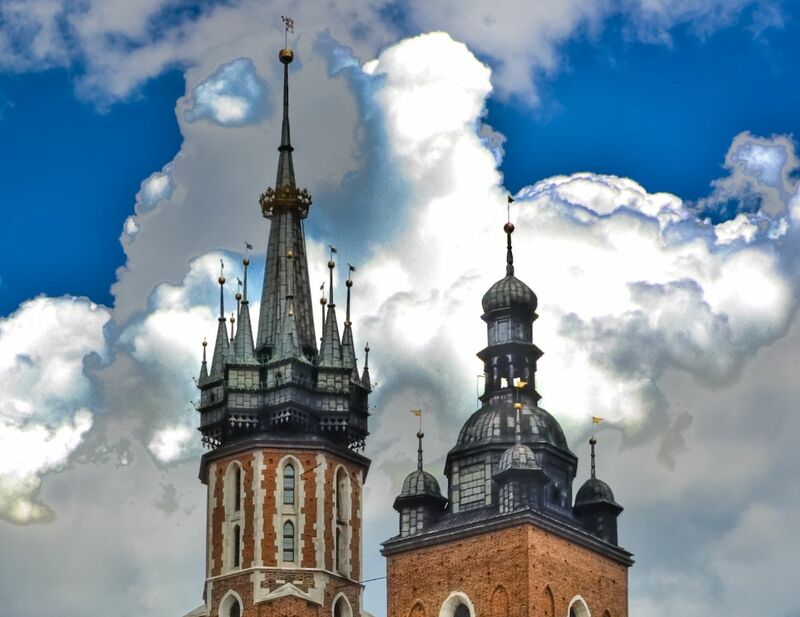 The high tower of the Saint Mary Cathedral pierced the sky for more than 600 years. It is 81 meters tall and is adorned with a golden crown and a Gothic spire. The tower has always been used by the authorities of Krakow. They have appointed a team to monitor the weather and uninvited guests. The tower can be climbed using its wooden and stone stairs with around 239 steps, some of them being quite steep. The Saint Mary Cathedral in Krakow is also known for its carved altar from the 15th century made by the German sculptor Veit Stoss. This impressive sculpture was created at the end of the century, the artist using oak for the base and soft wood for the figurines. 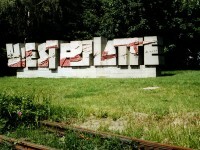 It has a width of 11 meters and a height of 13 meters. The height of the figurines is 2.7 meters. The altar is crowned by four wings, of which only two are fixed. The altar shows 12 scenes with the joy of Virgin Mary. After closing the two wings emerge 12 scenes of the grieving Mary. The brick Cathedral of Saint Mary is known for its horn which is sounded every hour the song called “Hejnal”. If the sound seems to stop suddenly, there is nothing wrong with it, because this commemorates a sad event from the past. 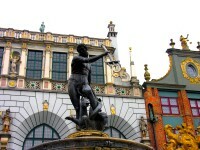 According to the legend, in 1241, during a barbarian invasion of Krakow, the man blowing the horn began to play the sound of a threatening, but he was wounded in the neck and killed by a barbarian. In the honor of this event, seven local firemen have the task of sounding the horn at every hour. This horn is in the left tower of the Cathedral, called Kosciol Mariacki. The blowing man, play the melody four times, to the four cardinal points. 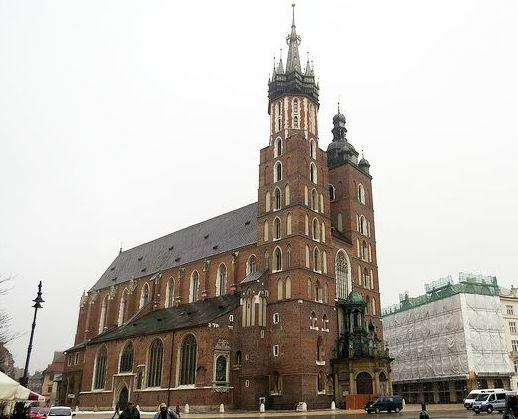 After the barbarian invasion in the 13th century, the Saint Mary Cathedral in Krakow was left in ruins. Gradually it has been renovated and received its current form, although, over time, it had some unkemp periods. During the earthquake of 1442, many buildings were demolished but the tower did not even budge. The tower had a deplorable state, so in 1961 it was closed for public safety. Its reopening took place only in 2002.